ISLAMABAD: India has been sceptical about the China-Pakistan Economic Corridor (CPEC) from its inception. It considers CPEC a stumbling block in the way of realising its dream of a great power in Asia. For the past two decades, India has been trying to achieve high economic growth, which is a pre-requisite for gaining the status of great power. India has also expressed immense interest in matching economic advancement of China but with no success. Although India now boasts of being able to cross China’s growth rate, it could not achieve the goal of economic development similar to the rapid progress in China. In 2018, India notched up 7.5% growth, suggesting that it had beaten China where the economy grew 6.5%. In mathematical terms, it seems fascinating, but its translation into real development does not make any difference. Calculations published in The Times of India in March 2018 categorically rejected the idea of comparison between India and China pertaining to gains in net worth during 2017-18. Estimates show that with 7.5% growth, India would be able to add only $215 billion to its gross domestic product (GDP) in 2018. For China, the addition to GDP would be $1,181 billion. The author of a report in The Times of India highlighted that in order to match China’s development, India needed to grow at a pace of 40%, which was impossible. According to the author, India needs to redesign its approach, should not strive to compare itself with China and focus on its own economic growth and development. There is no doubt that India is an emerging economy with a rising middle class and it has its own advantages like sustainable growth. It is one of the biggest markets. But the country should play a constructive role by helping reap benefits of cooperation and economic initiatives. Unfortunately, India’s actions point to another direction. It is trying to act as a stumbling block in the region. CPEC is the latest victim of this attitude. Although some experts believe it is due to India’s enmity with Pakistan, it does not reflect the full story. India considers CPEC as a hurdle in the way of becoming a great power in Asia. Therefore, Delhi deems it necessary to make CPEC a failure. However, sane voices in India are highlighting the other direction. They are asking their government to be partner in CPEC and reap enormous benefits of economic development under the programme. Ex-diplomat Shyam Saran points out that looking at the financial health of India, it will be wise to be part of China’s Belt and Road Initiative (BRI) including CPEC, which provides opportunities. It can pave the way for regional connectivity and improvement in regional trade, which at present is very low compared to other regions of the world. The World Bank estimates there is only 5% intra-regional trade in South Asia compared to 25% in the Association of Southeast Asian Nations (Asean) bloc. Regional investment also shows a sorry state of affairs as it is less than 1%. In order to improve regional connectivity, there is a need to improve transport and related infrastructure. South Asia is lagging far behind in this area. The World Bank in 2014 estimated that South Asia needed $1.7-2.5 trillion to improve its infrastructure related to transport, services and other areas till 2020. Spread annually over all these years, it shows that every year South Asia will have to invest 6.6-9.9% of its cumulative GDP. A worrying factor is that the lack of investment increases the cost of investment. Pakistan and India, which are major economies in South Asia due to their high population and growing middle class, have to take major steps to bring improvement in the region. CPEC provides the region with an opportunity to take benefit of the gigantic project and become part of the greater BRI. 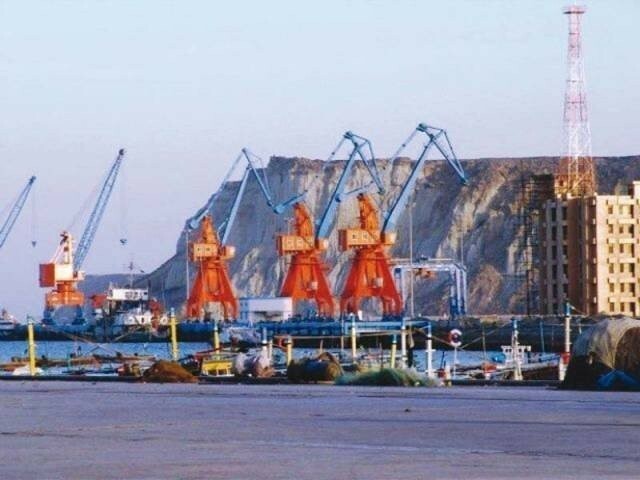 Although CPEC will not be able to provide all the required investment, it will help to cover a substantial part of it. By recognising this fact, Pakistan has become part of CPEC. In recent years, Pakistan has immensely benefited from investment in energy and transport infrastructure. It is also advisable for India to be part of it and gain advantages. Its inclusion will also clear the way for other regional countries to embrace CPEC, resulting in a smooth sailing for the economic corridor and the BRI. Moreover, if India joins CPEC, it will open doors of opportunities for connectivity with the Central Asian states. It will open Afghanistan and Central Asian markets for India. India is craving for many years to enter Afghanistan and Central Asia and CPEC is the answer. It will also be beneficial for other regional countries as it will open markets for Nepal, Sri Lanka and Myanmar. Fortunately, China and Pakistan are willing to include India or any other country in CPEC. Both countries have emphasised many a time that CPEC is a project of the future and for everyone. However, India’s self-perceived fears and assumptions are a major obstacle. The South Asian region needs an investment of $1.7-2.5 trillion only in infrastructure. It does not include investment in education, health care, skill development and human capital development. The addition of these may increase the investment level to $3-5 trillion.